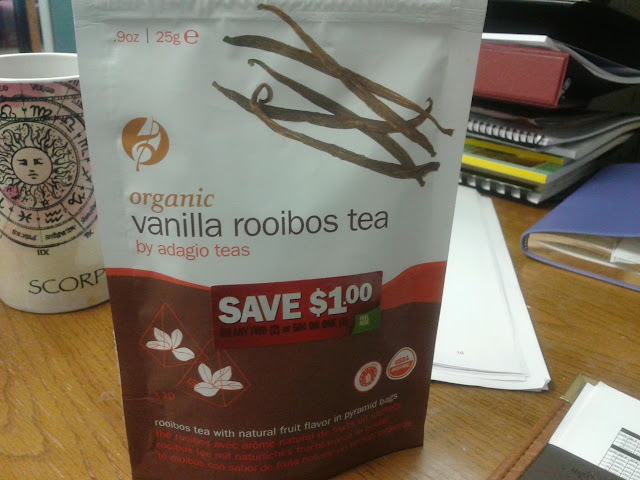 Tea time today will be about this organic vanilla flavored rooibos teaby adagio teas. 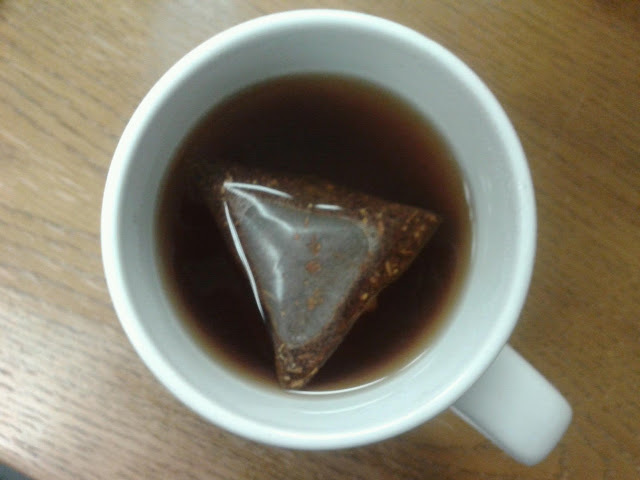 Now, on the package, it says there are 10 tea bags inside and since its organic, its probably a little more expensive. I'm not sure the retail pricing on these yet. Flavor wise, I honestly don't taste the vanilla in it. 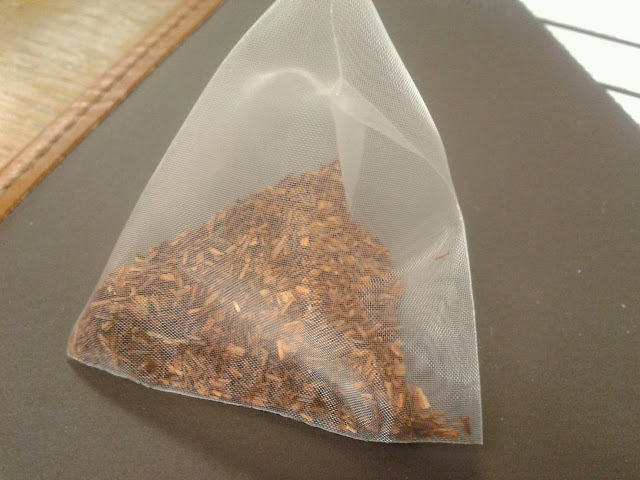 I love rooibos tea and the flavor of it, and feel like in this blend, it completely masked any vanilla in there. 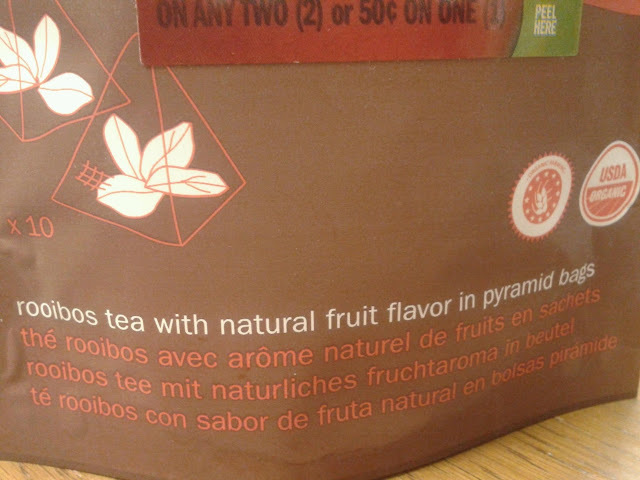 The combination of vanilla and rooibos do compliment each other, so that may be why I didn't notice any vanilla flavor. The good thing about this tea for me mainly is that I can fill up my mug about 3 to 4 times after and have it still have a good rooibos flavor. The first one obviously will be the strongest, but the thing I like about rooibos tea, or this one in particular is that it isn't bitter, so the strong flavor is more enjoyable. 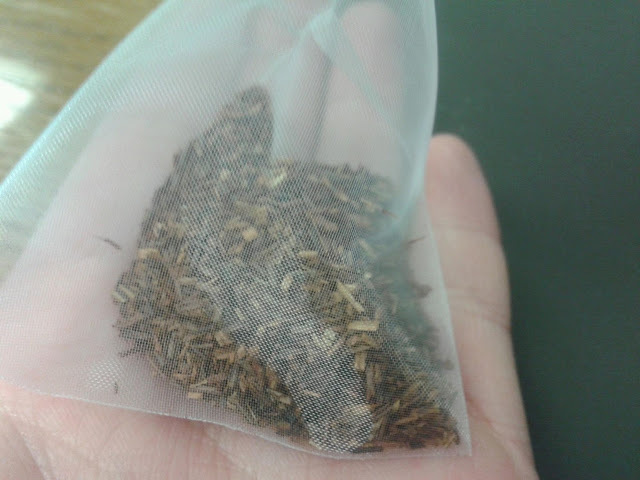 If any of you get a chance to try any rooibos tea at all, I would definitely recommend giving it a try.